Top Business points cards offers this month (there are some really good deals going)! So many of us either run our own small business or are sole proprietors and enjoy earning points, not just on all of our personal cards, but also on business cards. Platinum Delta SkyMiles® Credit Card from American Express®. The latest offer is just about perfect. 5000 MQMs and 35,000 Skymiles after $1000 in spend in the first 90 days of card membership. Plus, $100 statement credit after your first Delta purchase covers 2/3rds of your first year non-waived fee. Don’t forget the free companion cert year two of your card membership. You get to the biz card after you click on the personal card link (see directions here). Chase Ink Plus℠ Business Card. The INK plus ALWAYS has a home in my wallet and it should be in yours too. 5x points at office supply stores and the 50,000 after spending $5000 in the first 3 months of card membership is a great offer. Ultimate rewards are one of the most flexible programs going and if you only go for ONE card on this list, get THIS VISA card. Chase Ink Bold® Business Card. All the perks of its big brother card but this one is a charge card vs. a credit card. If you like having a VISA charge card in your wallet, this is the choice. USbank ✈ FlexPerks® Travel RewardsVisa Business card. 20,000 bonus points after 3,500 in spend. 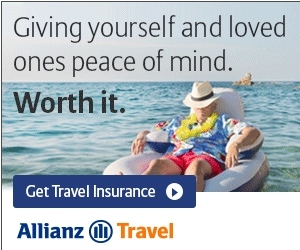 20k points is worth up to $400 off a ticket. 30k worth $600. You can combine your personal and business FlexPerks points and your wife can even send her points to you – or vice versa. This is a great card for business spend too. Chase Southwest Air business card. There are 2 personal and 2 business 50,000 SW Air cards after spending just $2000 in the first 90 days. All of them are very good deals for either flying SW Air or even for other uses. They are all different cards btw. All good choices. However it’s all going out the window with the $25,000 minimum spend in order to reach status. There’s basically no way I can retain gold status in 2015 without making the $25,000 on my Amex. It’s dubious proposition all around – is it even worth it? will Silver suddenly get that much better because so few people will have it? Anyway, suddenly we’ve got a very different calculation going on. I signed up for the biz explorer card. 50k miles after 2 k spend in 3 months. The card is an upgrade on the past explorer and the personal, I believe. Like the 2x miles om gas, groceries amd restaurants, as well as no international exchange fees. @Levy – yes a good choice for United flyers! So as far as Delta Amex cards go, I already have the personal Gold Delta Skymiles card. I recently took delta for $1000 in bumps on my RNO-SLC flight Friday, and figured I would use those funds to pay for an upgrade to the Reserve card. After all, it seems like a no brainer when I’m already paying $99 for the gold card. For just $350 more I can enjoy skyclub access and the added perk of going to the top of the upgrade list for my medallion level. Also looks like I get 10k RDMs and 10k MQMs by upgrading = nice! My question comes from the business side, since the gold card is personal, and the upgraded reserve card would also be personal. I do not currently have a business delta card. If I understand correctly, I could sign up for the platinum business card and get another 5000MQM and 35000RDMs, right? I’ll be flirting with PM status this year, and these extra MQMs might come in handy. @Jacob – Yes you can have and hold and get bonus points for both 1x of the Delta AMEX personal cards and the business cards. So to your point if you have not had the Delta (Gold or Plat or Reserve) business card for more than 365+ days you can then get the Delta AMEX Platinum and get the 5000MQMs and 35,000 RDMs after spend this year yes! Am I missing something… I tried to go through the Delta Platinum b/c I need the 5K MQMs to keep me at platinum for the year (already have Reserve but will do this one as business/sole proprietor account), but the link doesn’t say anything about the 5K/35K offer or the fee waiver? @Steve – the first year is NOT waved but you do get 5k MQMs and 35k RDMs when you spend $1000 inside first 3 months. Plus, buy something with Delta and get teh $100 statement credit. So almost first year free that way (almost). Be sure to CLEAR your cache if you do not see the offer and click again!